Heroic conflict and brutal devastation await gamers as they command and conquer fantasy kingdoms in the latest bundle from Bundle Stars. November 5th, 2013 | Tags: bundle, Bundle Stars, charity, Crusader Kings, Enclave, FORGE, HOARD, indie, Knights & Merchants, Majesty 2, Mount & Blade, Rune Classic, Shelter, SpecialEffect, Steam keys, The Majestic Indie Bundle. Following the success of Indie Jam and Indie Jam 2, Bundle Stars has just released Indie Jam 3! September 19th, 2013 | Tags: A.R.E.S. 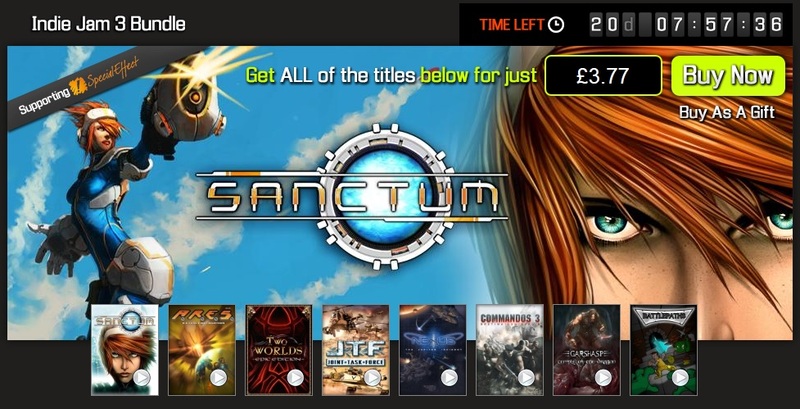 Extinction Agenda, bundle, Bundle Stars, charity, Commandos 3: Destination Berlin, Garshasp: Temple of the Dragon, indie, Indie Jam 3, Joint Task Force, Nexus - The Jupiter Incident, Sanctum, Special Effect, Two Worlds: Epic Edition. 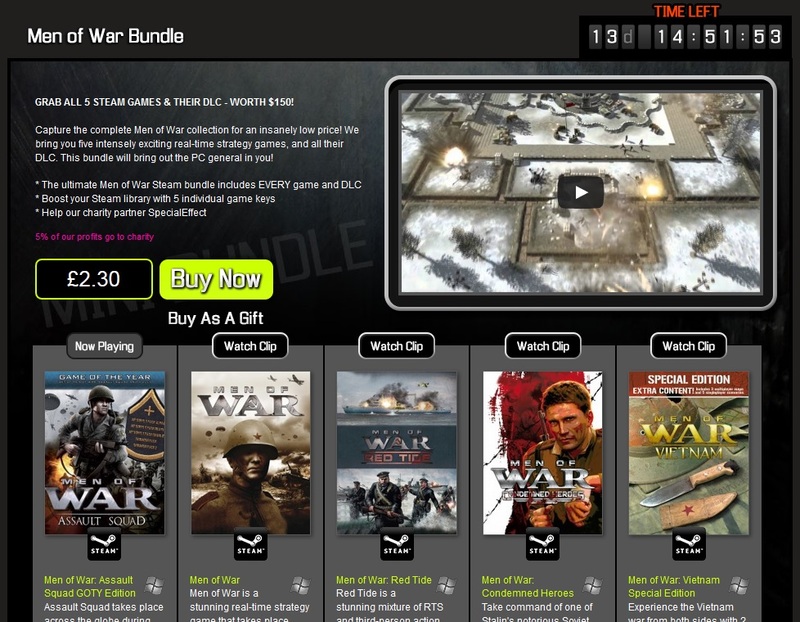 Bundle Stars is giving PC gamers the chance to capture every Men of War game and DLC pack, all for the lowest ever price of just $3! 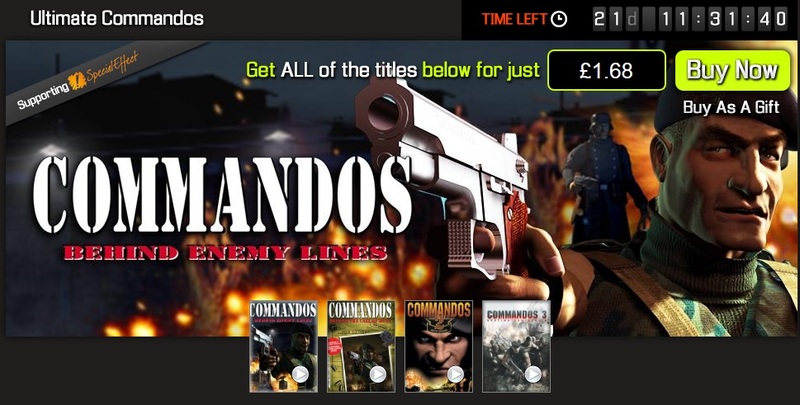 September 5th, 2013 | Tags: bundle, Bundle Stars, charity, indie, Men of War, Men of War Bundle, Men of War: Assault Squad, Men of War: Condemned Heroes, Men of War: Red Tide, Men of War: Vietnam Special Edition, SpecialEffect, World War II, WWII. 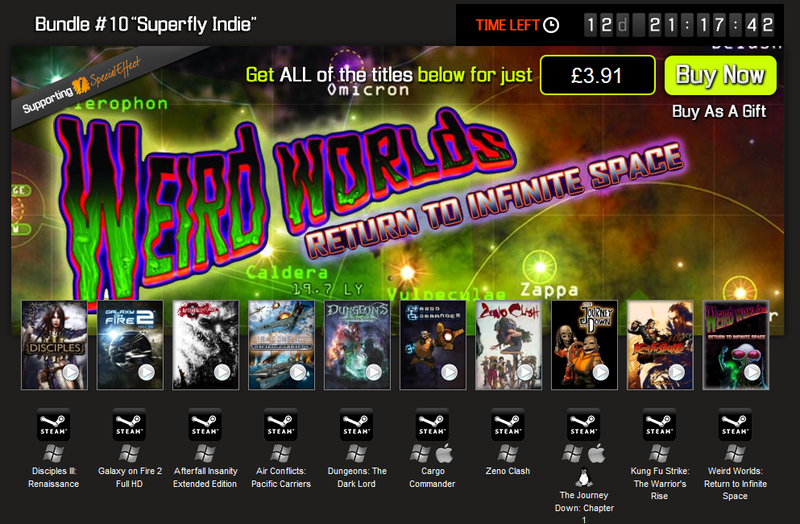 Bundle Stars have two bundles on offer at the moment: the Superfly Indie, with 10 games for less than £4, and the rubber-burning Stellar bundle, Wheels of Steel, featuring three games for just $1! August 2nd, 2013 | Tags: bundle, Bundle Stars, charity, deals, indie, SpecialEffect, Steam, Steam keys, Superfly Indie, Wheels of Steel. OnNet Europe today announced the Shot Online Charity event to aid flood victims in Germany and Poland. Starting on Thursday, June 20th, Shot Online players can tee off with a great golf experience online and help raise money for the German Red Cross aid effort. June 20th, 2013 | Tags: charity, charity event, German Red Cross, golf simulation game, OnNet Europe, Shot Online. Having obsessively researched the wild and wondrous world of indie gaming Bundle In A Box and Capsule Computers have partnered up to bring you The Capsule Computers Indie Bundle. An elegantly indie and mighty fine assortment of 11 excellent, varied and properly indie offerings for the most reasonable price of “pay-what-you-want”. May 31st, 2013 | Tags: Australian Red Cross, bundle, Bundle in a Box, Capsule Computers, charity, DRM free, Droidscape: Basilica, indie, Indie Dev Grant, Kyttaro Games, League of Legend, pay what you want, Razer. Indie Jam 2, the follow-up to the popular Indie Jam bundle, is a second serving of 9 awesome downloadable PC and Mac games. 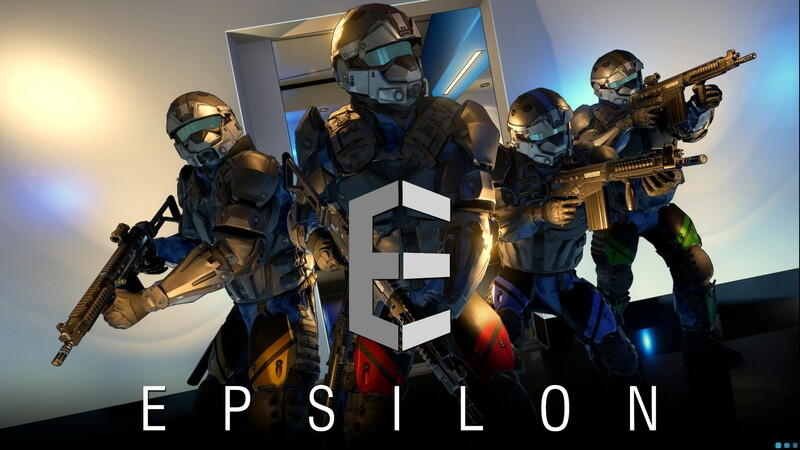 May 3rd, 2013 | Tags: bundle, Bundle Stars, charity, Holy Avatar vs Maidens of the Dead, indie, Indie Jam, Ion Assault, Iron Grip: Warlord, Nuclear Dawn, Planets Under Attack, Shattered Horizon, SpecialEffect, Two Worlds II, Two Worlds II: Castle Defense, X-Blades.